Ineltek UK, the UK and Ireland arm of Germany’s largest independent semiconductor distributor announces the availability of the newest evaluation kit from specialist 802.11 WiFi partner Redpine Signals. 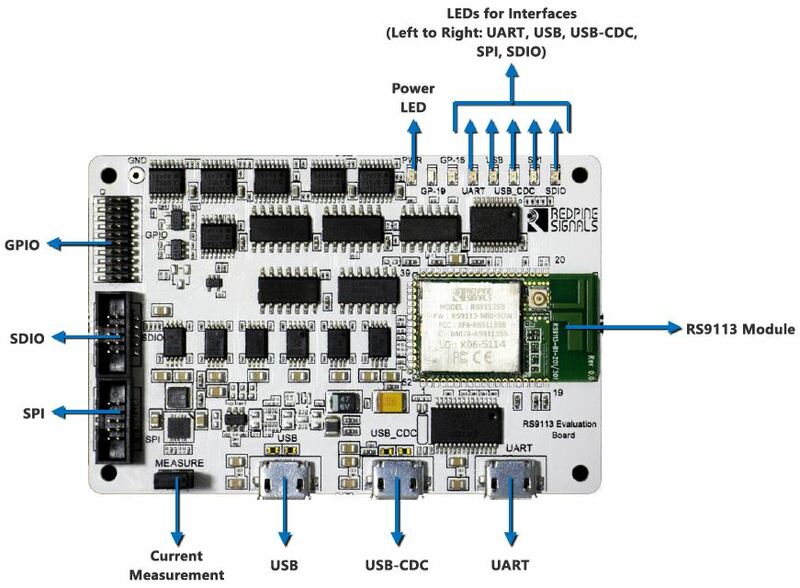 Supporting both Embedded and Hosted architectures based on the new RS9113 silicon in a single unified platform, the evaluation kit empowers wireless system designers to develop WiFi-enabled OEM products in record time. The RS9113 M2MCombo is an ultra-low-power, single spatial stream, dual-band 802.11n + BT4.0 + ZigBee® Convergence SoC. The RS9113 chipset provides low-cost CMOS integration of a multi-threaded MAC processor, baseband digital signal processing, analog front-end, crystal oscillator, calibration OTP and coupled with a dual-band RF transceiver and dual-band high-power amplifiers provides a cost-effective solution targeting low-power and high QoS wireless applications. RS9113-NBZ-S1X (Single Band) and RS9113-NBZ-D1X (Dual Band) are available now from Ineltek UK and are fully supported by our trained applications engineering staff.